Hello Mohamed and welcome to the community! You can find the New VMware Proxy wizard in the Backup Infrastructure view > inventory pane. You need to select the "Backup Proxies node" and click "Add Proxy" on the ribbon. I Opened the Backup Infrastructure Tape but there is no Backup Proxies there it start with Backup Repositories, The customer is the one who did the installation, do you think he made some mistakes on the installation. 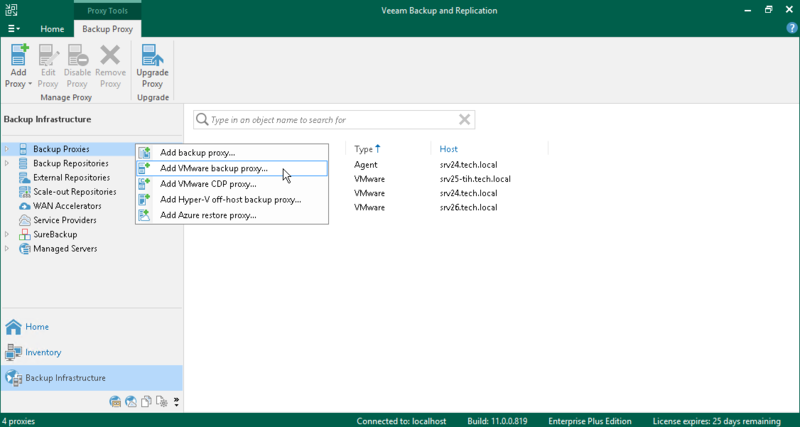 If you have a backup of the old configuration file you can restore that into your new VBR installation instead of reconfiguring everything from scratch.